Google Maps plays an important role in our daily routine. This Google navigation app works great enough for you to travel wherever you go. we face the problem with Google map that we can't see the direction without unlocking the phone. 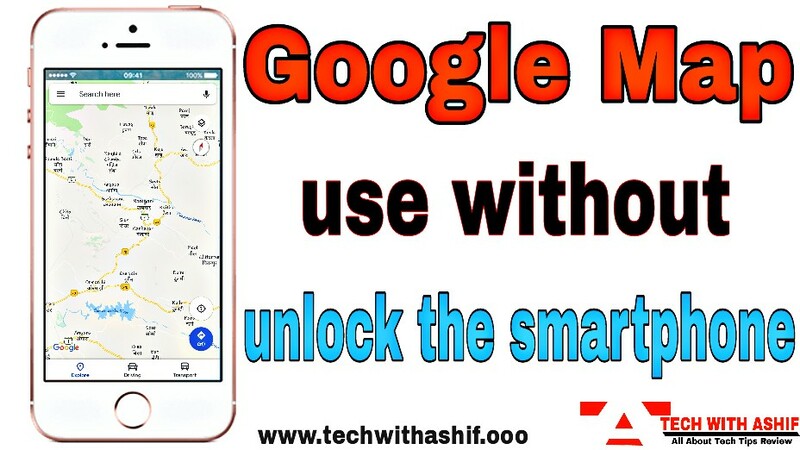 But if you have an iPhone then you can use Google Maps without unlocking the phone. Google Maps's lock screen widget works as a shortcut. This gives users access to using Google Maps without unlocking the phone. 1. First of all users must swipe left of the phone's lock screen. By doing so, users will be able to view the display with all the widgets installed. 2.Now you have to add a widget to Google Maps. For this, you will need to scroll down and tap on edit. 3. After clicking on it, a new screen will open, which will provide information about all the available widgets. Scroll down after this. Here you will find the option of Google Directions. A plus sign has been given to its equivalent. Tap on it. After this click on Done at the top. 4. After doing so, you will see Google Maps widget at the bottom of your widget screen. Now users will be able to see direction on Google Maps unlocked without the iPhone. At the same time, if you want to remove this widget, you will have to go to the same screen by clicking on Edit again and clicking on the red minus button given in the equal to the installed widget. After that click Done. By doing so the widget will be uninstalled.